For more information on the Victoria County History have a look at the national site. Research, by Jan Broadway, County Volunteer Coordinator and Andrew North, volunteer, is being started into the final section, 1945 to the present day. Also, the first steps are now being taken towards the coverage of the parishes of Charlton Kings, Leckhampton, Swindon Village and Up Hatherley. Prestbury, which was included in VCH Volume 8, up to the 1960s, will be updated to the present day. The final years, 2019-2020, providing sufficient funds are available, will be given to editorial review, gap-filling, preparation of maps and illustrations, indexing and finally printing. In the meantime, a VCH ‘short’, Cheltenham Before the Spa is now available – see our home page for how to obtain a copy. . This covers those centuries from the late Saxon period until the 18th century. In this period Cheltenham developed into a successful small market town, ranged along a single main street, with a market and trades serving not only its own needs but also those of the surrounding countryside. Raising money is a priority. While some of the initial research can be done by volunteers, the need for professional editors is essential and they need a salary. There are several ways in which you can contribute to the Gloucestershire County History Trust which is the funding section for Gloucestershire Victoria County History. A small, regular, monthly contribution is the best way to support the work of the professionals. 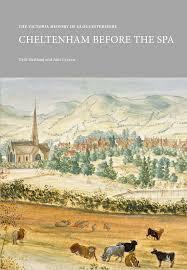 Volunteers are playing a great part in the creation of VCH Cheltenham Volume 15. 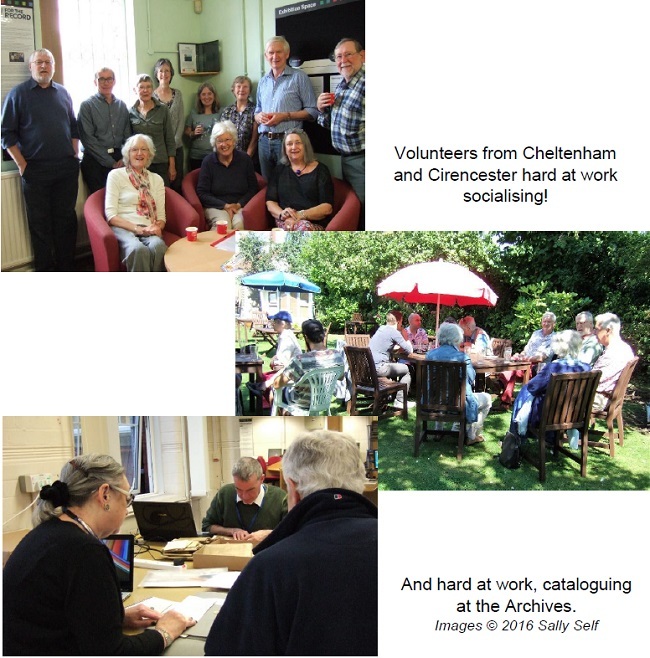 The Cheltenham VCH volunteers started in 2013 and since then we have achieved an impressive list of contributions – not only to the research but also to the part-writing of some sections. Around 350 archive boxes of previously uncatalogued Cheltenham solicitors’ papers have now been made available on the Gloucestershire Archives digital catalogue – this supports VCH editors and the Archives’ staff. Between 10 and 12 volunteers work regularly at the Gloucestershire Archives in Alvin Street, Gloucester. We’ve also become good friends! Cheltenham’s early newspapers, up to 1850, have been examined, notes made of information useful to the contributing editors. Notes made on information in the Cheltenham Directories and Annuaires. Extensive information on non-conformist meeting places – which are soon to be published by Bristol and Gloucestershire Archaeological Society. Tudor and Stuart Exchequer and Star Chamber records transcribed. Until recently Cheltenham’s earliest manorial record of 1294, held by the Duchy of Cornwall, was too fragile to be examined. 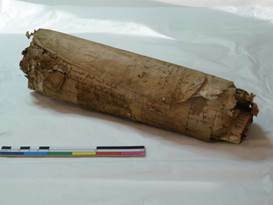 But now, thanks to highly-skilled conservation, the support of the Duchy of Cornwall archives and a contribution from the Arts Council, Cheltenham Borough Council, the Roll is now cleaned, stabilised, repaired and transcribed by the Latin Group. Working as a volunteer for the VCH project is a very worthwhile experience on several levels. Mentally stimulating and socially rewarding, we also have access to advice on matters pertaining to the VCH and to local history in general, from the County Coordinator, Jan Broadway and the Gloucestershire Archive’s staff.